Studying hard but forgetting facts? Unable to complete class work? Forgetting or losing things frequently? Unable to name objects/have delayed speech? Extra sensitive to noise, touch and taste? Unable to throw or catch a ball? Overly clumsy – bumping, tripping spilling things constantly? Does your child display any of the below behaviors? What services are offered at the Psychology department at Hope? Short stature refers to the height of a person being less than expected. According to the American Association of Clinical Endocrinologists, short statured people are those who are shorter than 97.7% of the population. Shortness in children can be attributed to multiple factors such as constitutional/genetic factors, malnutrition, metabolic problems, chronic illnesses and hormone deficiencies. What are the long term effects of short stature? Short statured adults are much more likely to have short statured children. Also, children with short stature face tremendous peer pressure in schools, and this often leads to depression in children. Such children also frequently have long-term psychological issues as adults, and lack of self esteem and low confidence are traits observed in short statured individuals. The most important step in the treatment of short stature is early identification and complete evaluation at a young age. Children grow in height till their teens, and stop growing when their bones (epiphysis) fuse. So, identifying short stature at an early age (from 2-3 years till 7-8 years) is vital for treatment. 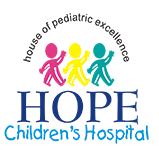 If you have any doubts or queries on short stature or whether your child is growing normally, call up your doctor or set up an appointment at the growth clinic at Hope Children’s Hospital.